The province of Bohol still maintains that allure when it comes to being a tourist destination. Gov. Edgar Chatto who is at the helm of Visit Bohol 2015, aims to uplift once more the grandeur that is Bohol. 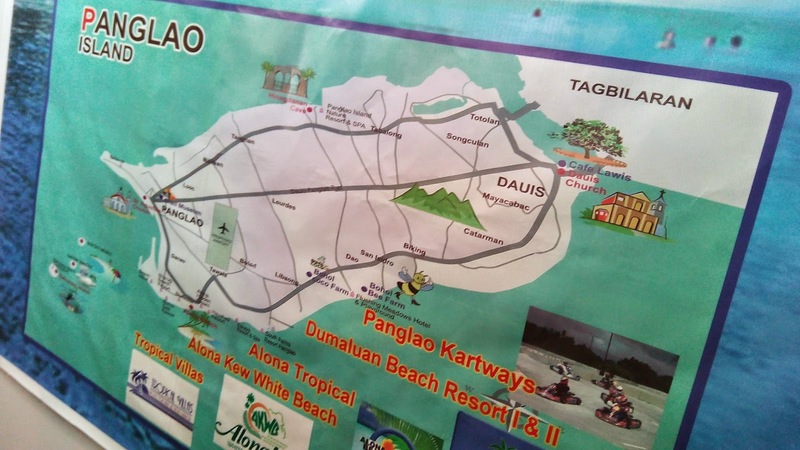 With its amazing natural attractions such as the famous Chocolate Hills, pristine white beaches, diving sites, the cute tarsier, the centuries old Baclayon Church, and the hospitality of Boholanos, "Bohol is ready to welcome all of you to our beautiful province," says Gov. Chatto. 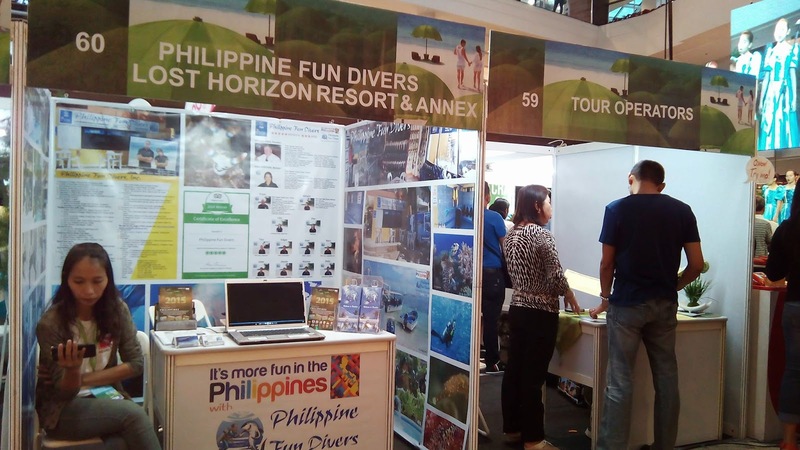 The tourism campaign launched last January 9, 2015, is a three-day Bohol Travel Fair at the Activity Center of Glorietta Mall in Makati City. Major players of the tourism sector of Bohol organized by the Bohol Provincial Tourism Council Inc., and Atty. Lucas Nunag all did their best to showcase the best of Bohol. 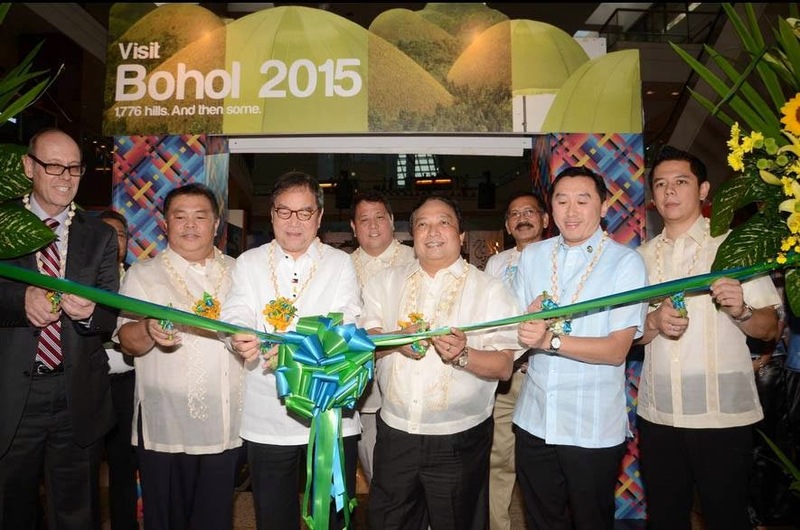 "Our dream is to make Bohol a tourism superpower and top holiday destination. With the help of our partners and other significant stakeholders from the public sectors, we believe this is achievable," adds Gov. Chatto. Other partners of Visit Bohol 2015 include USAID-COMPETE, DOT, UN-WTO, Pacific Asia Travel Association, plus local tourism businesses, Ms. Gloria Steele, USAID Mission Director for the Philippines, and DOT Secretary Ramon Jimenez Jr.
Air Asia also partnered with the Bohol Travel Fair by offering low seat prices all-year round for its Manila-Tagbilaran to attract more visitors for the province. Aside from discounted airfares, up for grab are accommodation and tour packages and other travel essentials, plus indigenous Boholano products. 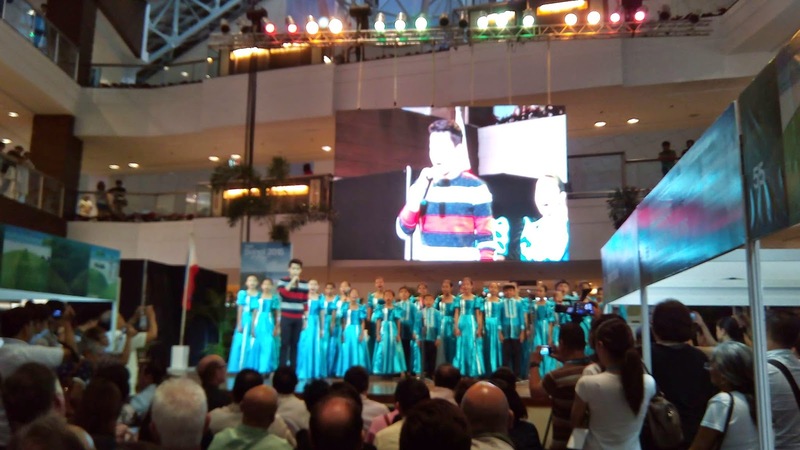 And as a special treat, visitors to the fair will be serenaded by the heavenly voices of the world-famous Loboc Children's Choir. 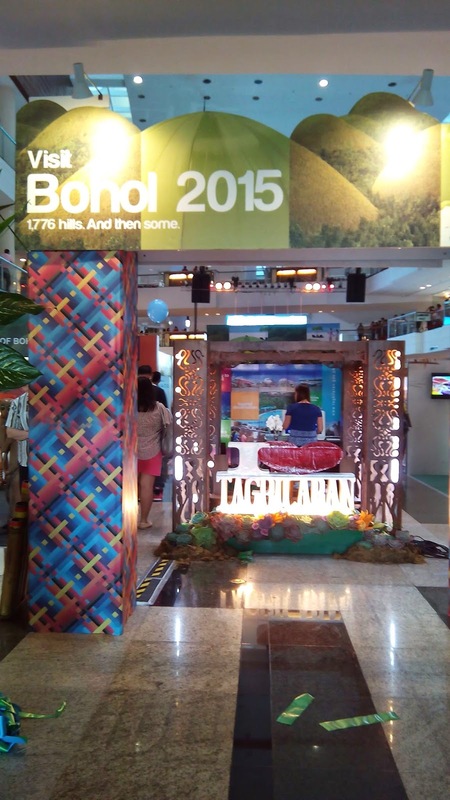 A taste of bountiful Bohol at the Bohol Travel Fair—The first Bohol Travel Fair opened today at the Glorietta Activity Center in Makati City amid simple yet meaningful ceremonies. 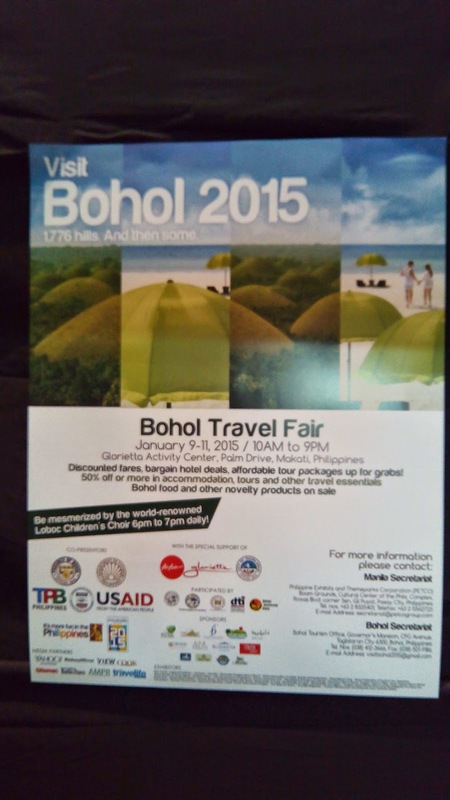 The 3-day event, which runs today until January 11, 2015, serves to kickstart the province’s Visit Bohol 2015 tourism campaign, which hopes to lure local and foreign tourists, including businessmen, back to the province to explore its beauty and natural splendor and be part of its growing economy. The initiative is also aligned with the Philippine government’s own “Visit The Philippines 2015” tourism campaign, a follow up to its successful “It’s More Fun in the Philippines” effort last year. 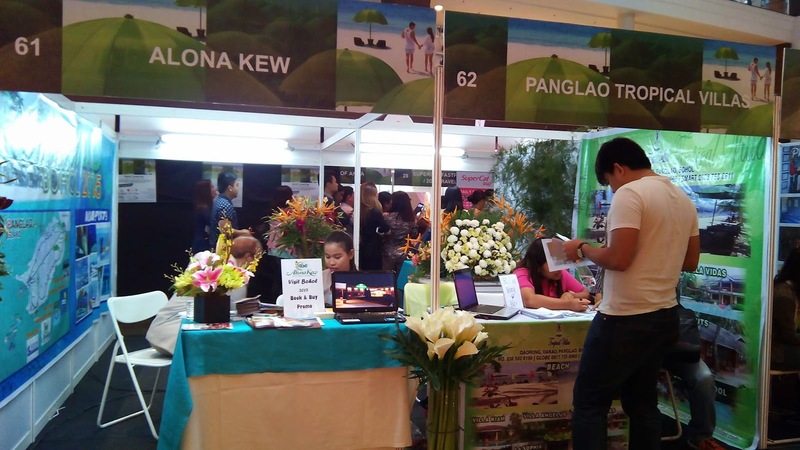 The Bohol Travel Fair, which is organized by the Bohol provincial government in partnership with the Department of Tourism (DOT), the Tourism Promotions Board Philippines (TPBPHL), and the United States Agency for International Development (USAID), was attended by numerous VIPs, dignitaries and special guests from the province, the national government, the diplomatic corps, and other important stakeholders in the Philippine tourism scene. 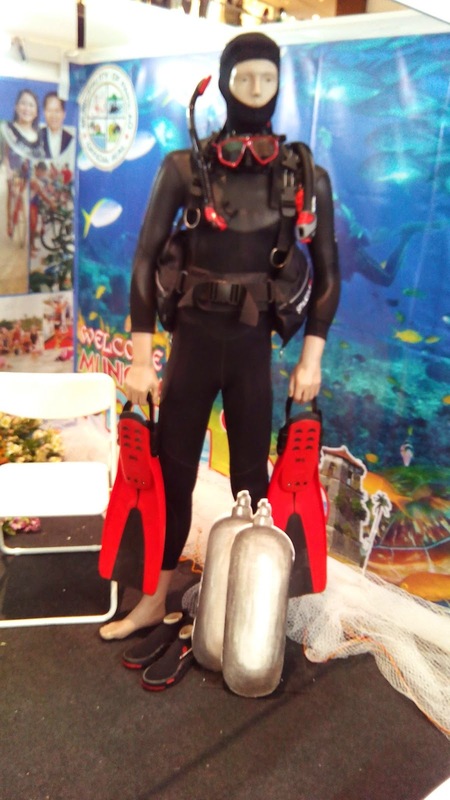 The event also provided participants, mainly private resort owners, the opportunity to showcase the best of what they can offer to event guests and the general public when it comes to tourist attractions. Shown in photo during the opening ceremonies are (from left to right) L-R: Mr. Reed Aeschliman (Deputy Mission Director, USAID Philippines); Hon. Rene L. Relampagos (Congressman 1st district. Chairman of the Committee on Tourism of the House of Representatives); Hon. Ramon R. Jimenez Jr. (DOT Secretary); Hon. Benjie Arcamo (Board Member of Provincial Govt of Bohol); Hon. Edgar M. Chatto (Governor of Bohol); Atty. Lucas M. Nunag (Bohol Provincial Tourism Council Chairman); Hon. Arthur Yap (Congressman 3rd District) ; Hon. John Geesnell Yap II (City Mayor of Tagbilaran).